Home / Archive by Category "PERFORMERS"
Alli Coleman, a New Jersey native, has spend the last few years challenging the conservative notion of comedy in South. A cerebral wit compliments a stage presence that is quirky and engaging. Coleman takes on topics from general observation and molds them into extreme left turns disguised as sharp visualization in mindfulness and storytelling. Coleman headlines regularly and has featured for a long list of comedians throughout various venues in the South such as: Rich Vos, Guy Branum, and the Lucas Bros.
His mom doesn’t believe in him, but hopefully you will. Rene Luna is an aspiring stand-up comedian who started his career telling inappropriate jokes in awkward situations. Now he’s bringing his views on white people, and why they’re different, to the stage. 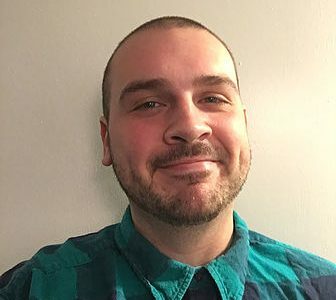 Mike Horn is a Raleigh-based comic that performs all over North Carolina, sharing his experiences growing up with a gay mom, losing over 200 pounds, and struggling to become a better person. Mark Brady won NCs funniest at Goodnights comedy club in Raleigh NC. He has opened for acts such as Nate Bargatze, Tom Segura, Donnell Rawlings and Bruce Bruce. stage since starting stand-up comedy. Victoria Jean Jane Carlotta Chaffee is not the real name of Comedian, Tori Chaffee. She has been doing comedy for 3 years around the state of North Carolina. She was a finalist in the Ultimate Comic Challenge 2019. Her abrasive material and pseudo ignorant stage persona will keep you laughing and questioning the nature of your reality. Wills Maxwell, Jr. started doing stand-up comedy when he was in 4th grade. His teacher didn’t appreciate him interrupting the class and his parents didn’t appreciate him getting in trouble. 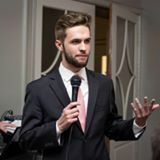 Due to the lack of appreciation, Wills retired from the business and started doing stand-up comedy again after he left high school. Wills hosted Wilmington, North Carolina’s Late Night Talk Show “Late Fear with Wills Maxwell” He can be seen every Thursday morning on WWAY with his comedy news segment “What Did We Miss?” He has performed at the Cola Comedy Convention, The North Carolina Comedy Festival and was a semifinalist in StandUp NBC 2018.